Create one-of-a-kind designs using sparkling and colorful sand with the Made by Me Sand Art kit! Display cool color schemes as you learn fun layering techniques that add flair to your room's decor. 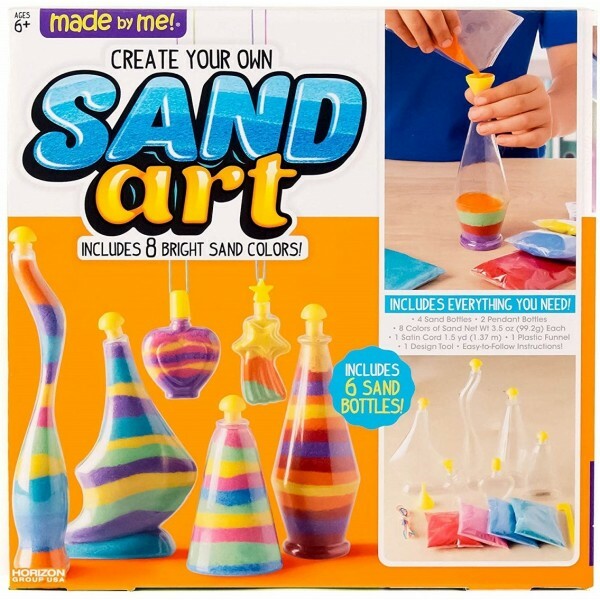 Fill up fun shaped sand bottles for a playful decoration or personalized gifts for your family and friends. This super fun activity allows you to organize color schemes, play with fun shapes and discover art through different art mediums.